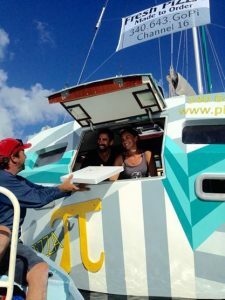 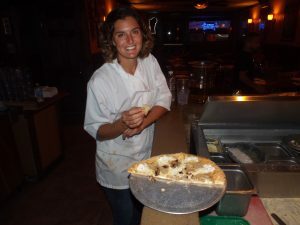 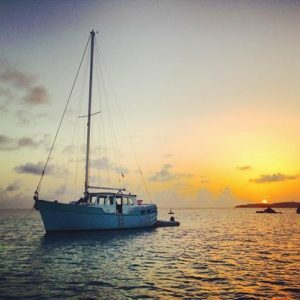 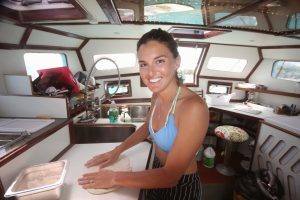 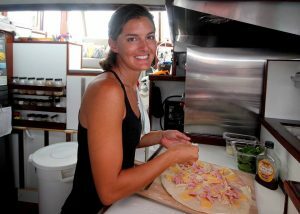 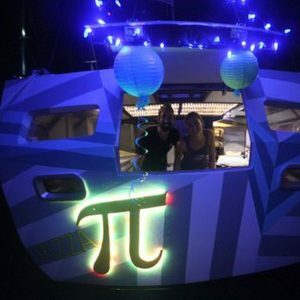 Tara and Sasha Bouis started their very own pizza boat, and they were the 1st in the world to do it. 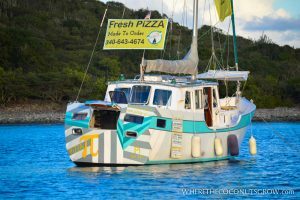 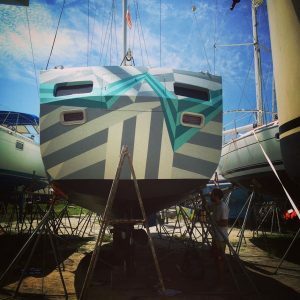 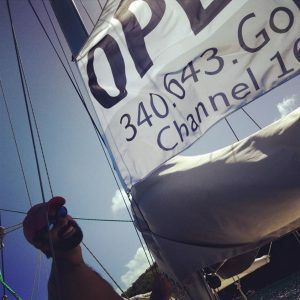 It was an interesting conversation when we met on the first day of class and they told us they were a month away from opening a mobile food unit that happened to be on the water. 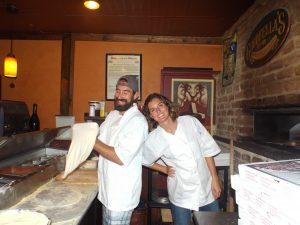 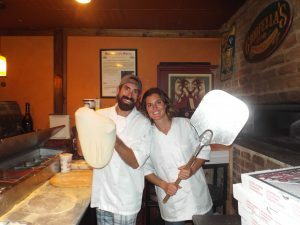 We knew that we were going to teach the art of pizza making to a couple that had a “first of its kind” idea. 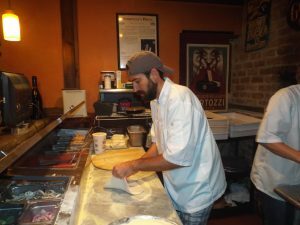 Right away we went to work, teaching the fundamentals of dough making which include flour types, hydration levels, yeast types, primary ingredients as well as optional ingredients, fermentation processes, just to name a few. 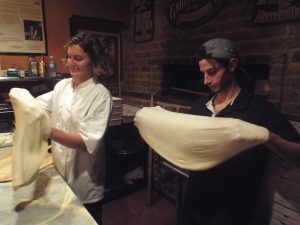 This process was done repetitively every day and within just a few turns, they were mastering the dough process on their own. 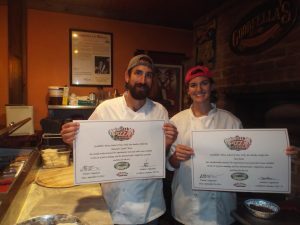 From there we covered pizza sauce, as well as 7 other different gourmet cream sauces that have won the International Pizza Expo many times. 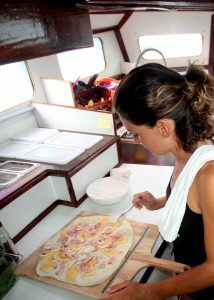 Cheese types and preparation methods were covered next. 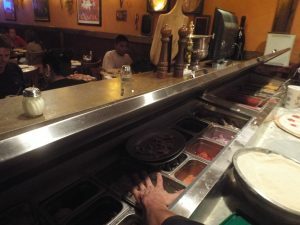 Toppings were prepared, cut, roasted, and seasoned to perfection. 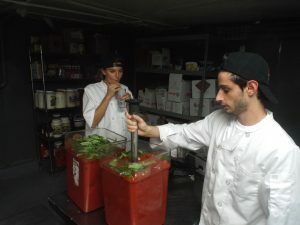 And once all the prep was done, the fun part kicked in. 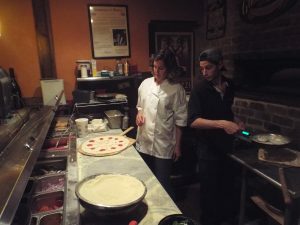 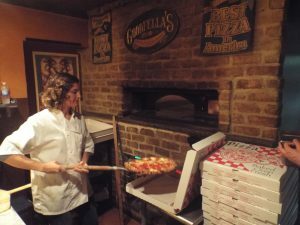 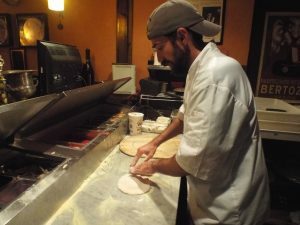 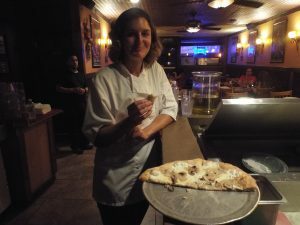 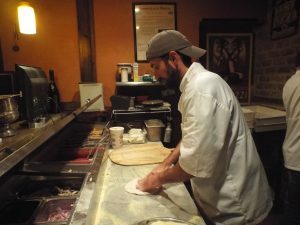 We started to assemble pizza after pizza, gourmet pie after gourmet pie, dessert pizzas, square pizzas, grandma pies, brick oven breads, calzones, rolls…. 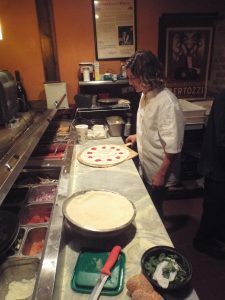 until they mastered it all. 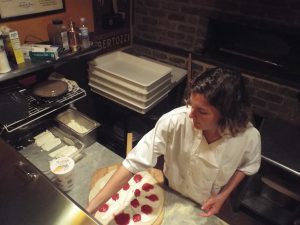 Tara and Sasha came in to the school with a passion and a love for the art of pizza making, and left with the skills and the tools they needed to make their great idea a complete success. 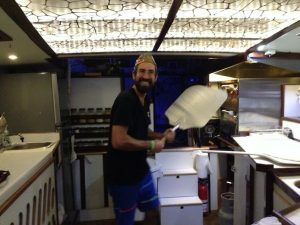 They put a lot of blood sweat and long long hours on their journey to creating this floating pizza oasis, and we are very happy to have helped them achieve tremendous pizza success. 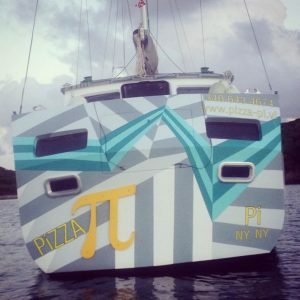 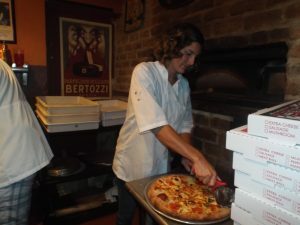 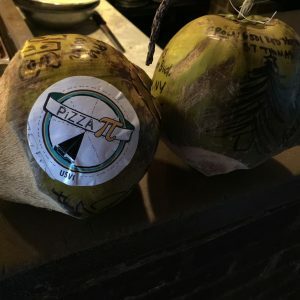 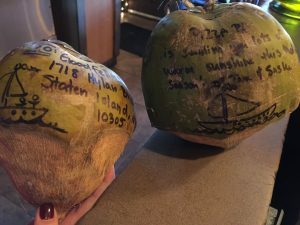 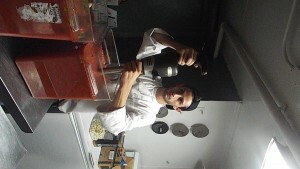 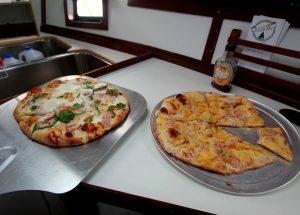 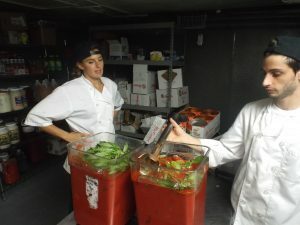 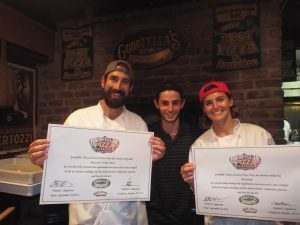 Here are some pictures of the boat, their experience at the Pizza School of NY, and of course pizza!